2013 saw the grand reopening of the World Rugby Museum at Twickenham Stadium. 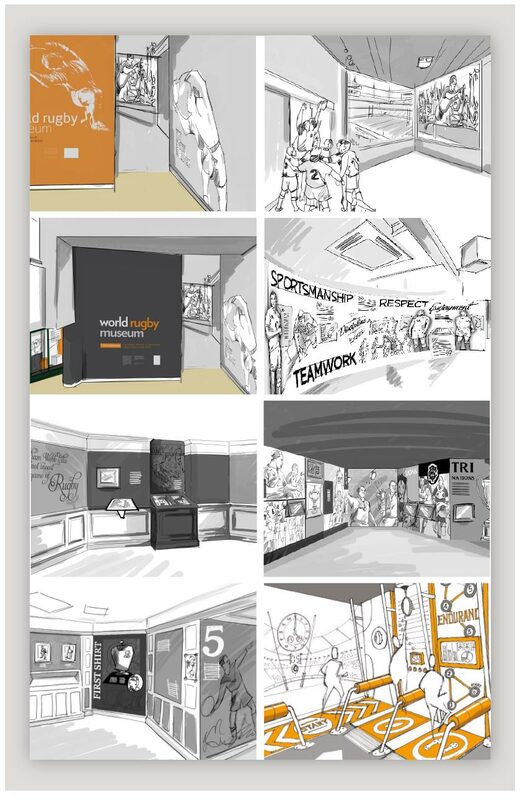 Imaginate were commissioned to undertake a 3 year renovation project of the entire museum space of 13 areas. We created a revised story narative which takes the visitors through 4 key areas: The Spirit of Rugby; The Rugby Story; What kind of rugby player are you; Rugby Moments. Bespoke photography and an inspirational film were created to enhance the visitor experience. A key brand new area was “What kind of rugby player are you”. Here we created an interactive game zone, which reflected the 5 SAPSE that are used to train the players. Each interactive takes on the principles of Strength, Agility, Power, Speed, Endurance. The renovation has been a great success, and has transformed the museum.